Why is it that Bird Flu is ravaging factory farms while leaving backyard birds mostly untouched? Everyone is talking about it: WSJ, NPR, Ruters, CNN, FOX, and others, but most reports are centric to fiscal impact, supply shortage and general fear-mongering. This conversation, instead, needs to be centered around what is fueling this problem. Wild birds have contagious diseases. This is not new, nor is it something we’re ever likely to eradicate. However, what we can control is the environment we raise captive poultry in. Conditions in chicken farming establishments are abhorrent. Gross overcrowding fosters the rapid spread of deadly disease through weak, malnourished poultry. Thankfully, these are not the same conditions found in your backyard. Conventionally farmed chickens are forced to wallow in their own feces, lack the ability to dust bath to clean themselves and are denied easy access to fresh food or clean water. I will spare you additional details, but if you’re still curious about factory farm conditions for poultry, you can click here for a short video. The rapid spread of avian flu among factory farmed poultry is alarming, especially considering the widespread “bio-security” protocols that are in place, supposedly to prevent this type of contamination by “shielding” chickens from any external, or natural exposure. Let’s hope that this outbreak sheds light on the many issues with our country’s conventional poultry farming practices. Just don’t hold your breath, because this isn’t the first time in our life time or even this decade that bird flu has ravaged through the chicken industry. For many of us, this is a primary reason we started keeping our own chickens, to have more control over the conditions our eggs come from. So, let’s use this time to thoughtfully educate about and enjoy the benefits of keeping backyard chickens in the face of the bird flu outbreak. 1. Clean your coop and run regularly, especially if your chickens are confined or semi-confined. Be sure to use gloves and a shovel when working with manure. 2. Provide fresh, clean water for your chickens. 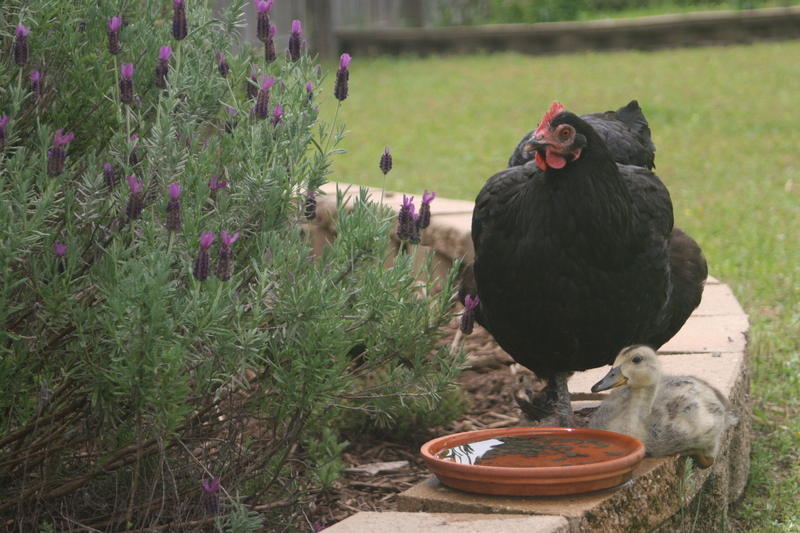 For the time being, do not use water from a pond to fill your poultry’s water. Pond water can be contaminated by wild avian. 3. Administer a healthy diet. Just like in humans, a healthy diet helps boost the body’s immune system. 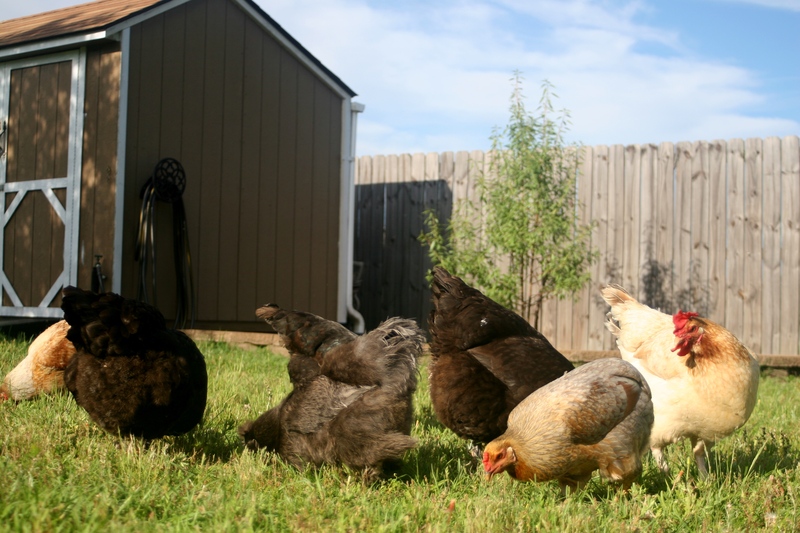 Along with their regular feed, chickens need access to fresh greens, like grass or any array of green kitchen or garden scraps, such as spinach, kale, collards, romaine, cabbage, parsley, etc. 4. Do not introduce new birds. Any avian can carry Avian Flu, particularly waterfowl. Now is not the time to introduce any new outside birds to your flock or habitat, unless it is from a trusted breeder. Even then, please exercise caution and discuss any questions and concerns you have with the breeder before bringing new poultry home. 5. Avoid Flock Swaps, fairs and other gatherings where you or your birds will come in contact with other avian. While there is not a lot of concern about avian virus infecting humans right now, you could easily bring home contaminates to your flock. 6. Avoid contact with wild birds. Every backyard set up is different, so there isn’t one clear cut solution for limiting wild birds’ access to your flock. 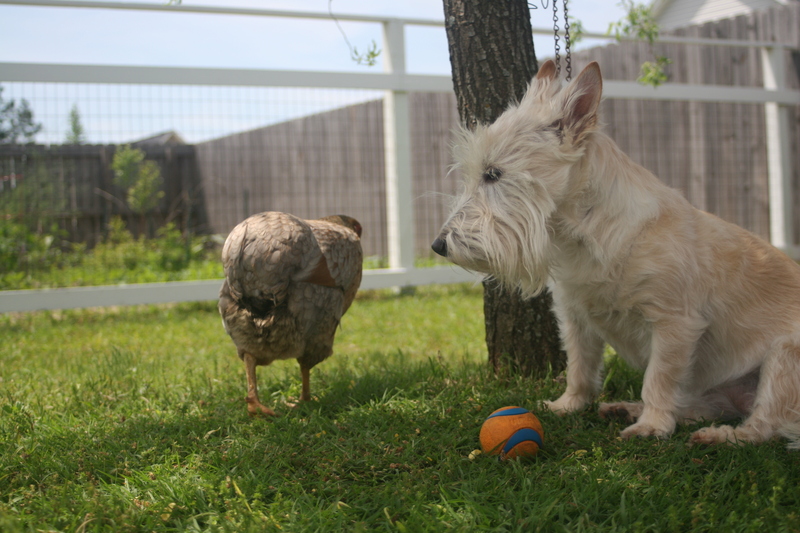 Spend some time in your chicken yard observing. Are wild birds accessing to your flock’s food and water? Is there a way to limit that exposure? Are excess food containers stored properly to protect contamination from rodents? Have you consider netting over top of the habitat to keep wild birds out? 7. Wash your hands. Before and after interacting with your flock. Always. 8. Relax and enjoy. Really. If you’re maintaining high standards of care, just continue monitoring your flock’s health with a watchful eye, as you always do, and don’t worry too much about it. This entry was posted in Chickens & Ducks, Stewardship and tagged AI, Avian Flu, Avian influenza, Backyard birds, backyard chickens, backyard ducks, Bird Flu, chicken farming, Chickens, conventional chicken, conventional farming, disease, Egg (food), egg producers, factory farming, factory farms, H5N1, H5N2, H7N9, infectious viral disease of birds, Iowa outbreak, pet chickens, Poultry, turkeys, waterfowl, wild birds, wild water fowl by peregrinfarms. Bookmark the permalink.